Yesterday, the developer posted on Steam about how they've noticed other developers having issues with Linux/Mac versions of their games. 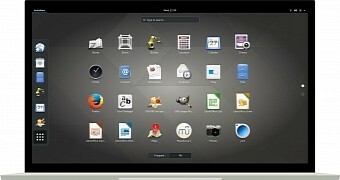 As far as we know, it will have same-day Linux support as it already has Linux builds available. When we spoke to the developer back in April, they did confirm then the Steam release will include the Linux build too. Awesome news for those waiting on it, as GOG now have the Linux build of Forsaken Remastered from Nightdive Studios with porting help from Ryan "Icculus" Gordon. If you fancy learning a new language, Lingotopia [Official Site] might make it less of a chore as this adventure game has you play as a little girl shipwrecked on the shores of a strange island. You don't speak the language and so you must decipher what everyone's saying by gradually learning more words. Unigine, the beautiful and Linux-friendly engine for games as well as VR and industrial training/simulation applications, has outed their latest engine update. Unigine 2.7.2 is the newest release of this commercial game and professional graphics engine. While it may not seem like a big release given the version number, there are a fair amount of improvements to enjoy with this latest release. Sam Lantinga of Valve has contributed better support for some popular game controllers to the SDL2 library. Within the latest SDL2 development code, HIDAPI joystick drivers have been added to this library for providing more consistent support for the Xbox, PlayStation 4, and Nintendo Switch Pro controllers. HIDAPI is a multi-platform library for HID devices on Windows/Linux/macOS and now this unified code is used across platforms. DXVK has been doing great with its Direct3D 11 support mapped to Vulkan and running a variety of games at performant speeds under Wine while now patches have emerged that would add Direct3D 9 support too. This Direct3D 9 for DXVK proposal isn't to be confused with the separate VK9 initiative that is working on Direct3D 9 support mapped to Vulkan albeit still in the fairly early stages.